Emoji can communicate our happiness. 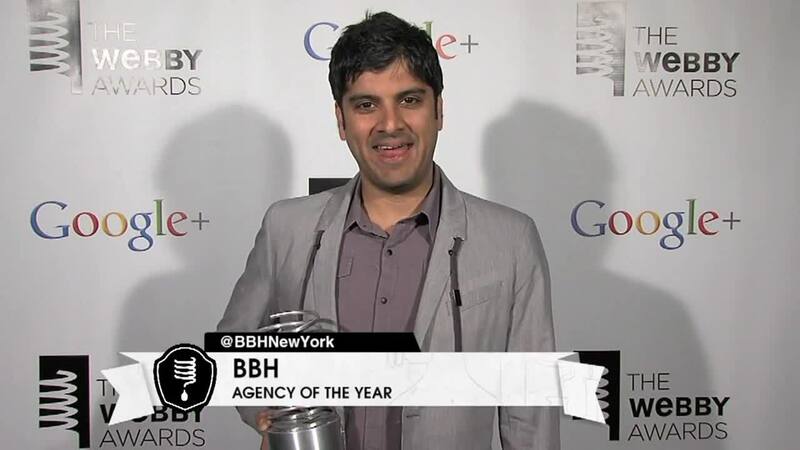 BBH is the Winner of the Agency of the Year Award in the 16th Annual Webby Awards. The Agency of the Year Award recognizes the most successful agency across all Webby categories including Interactive Advertising & Media, Websites, Mobile sites, and Online Film and Video. BBH has garnered 9 Webby wins for their work on 4 different groundbreaking projects including Google Music, Google Chrome’s Dear Sophie campaign and Asos Urban Tour. With nearly 10,000 works entered from all 50 US states and over 60 countries around the world and almost two million votes in the Webby People’s Voice Awards, the 16th Annual Webby Awards is the biggest in our history and continues to be the leading international award honoring excellence on the Internet.